Ranking the Seahawks’ roster: Can these top draft picks fill the shoes of the big names they’re replacing? Where do some of the team's top 2018 draft picks rank? Our countdown to training camp continues with Nos. 30-21 in our Seahawks roster rankings. We are counting down to the start of Seahawks training camp, which begins Thursday. 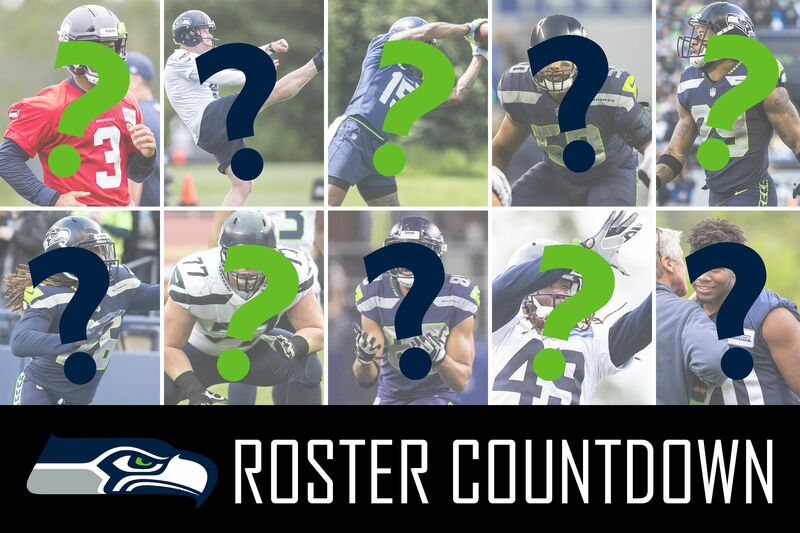 The countdown enters the top third of the roster, with positions 30-21, including Seattle’s top two draft picks this year. Potential role in 2018: Rotational player at defensive tackle, likely backing up Tom Johnson at three-technique but playing substantially throughout. Main competition: Tom Johnson, Quinton Jefferson. Why he’s ranked here: A third-round pick in 2017, Jones emerged as a consistent and significant contributor midway through last season before suffering an ankle injury that caused him to miss the last five games. The expectation is he will again be a significant part of the team’s defensive line rotation, though veteran free-agent signee Tom Johnson could be the official starter. Potential role in 2018: Backup to starter Ed Dickson. Main competition: Will Dissly, Tyrone Swoopes. Why he’s ranked here: Like C.J. Prosise, Vannett is a 2016 third-round pick who may be in a make-or-break season with the Seahawks. Vannett has yet to really carve out the kind of significant role the team envisioned when it took him out of Ohio State. But that was when he was playing third fiddle behind Jimmy Graham and Luke Willson, each now former Seahawks. 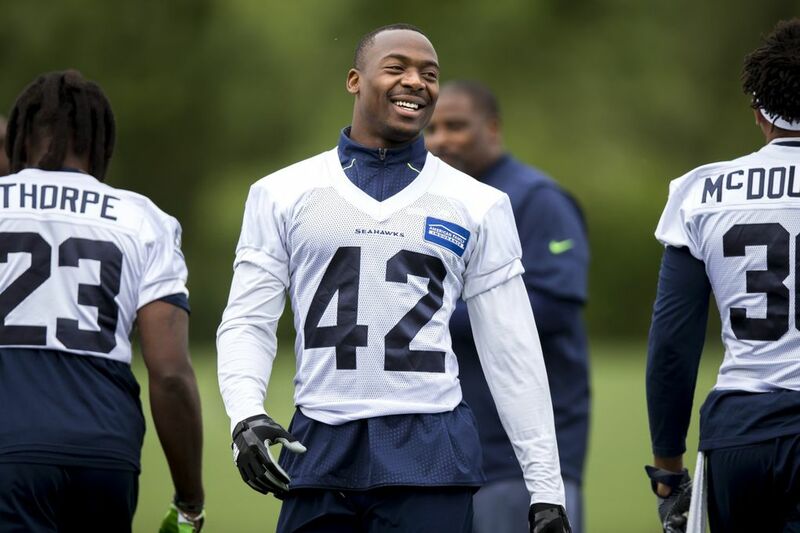 Now he has his chance, though he’ll have to fend off Dissly and Swoopes for the backup role. Potential role in 2018: Backing up and rotating at nose tackle with Jarran Reed. Main competition: Eddy Wilson, Poona Ford. Why he’s ranked here: A free-agent signee who spent the past four seasons with the Vikings, Stephen can play either tackle spot but appears likely to see his most action at nose tackle where he can help spell Reed. Main competition: Dion Jordan, Branden Jackson. Why he’s ranked here: A third-round pick out of USC, the Seahawks envision Green playing a Michael Bennett-type role — end on running downs, inside on passing downs. With the makeover of the defensive line there is a lot of opportunity for immediate impact. Potential role in 2018: Possible starting strong safety alongside Bradley McDougald if Earl Thomas is not around. Likely backup strong safety to McDougald if Thomas is around. Why he’s ranked here: Hill’s importance could rise markedly depending on what happens with Thomas. As a reminder, when Thomas skipped minicamp, the usual safety alignment was McDougald stepping in for Thomas at free safety and Hill at strong. If Thomas shows up, then he’ll be free safety with McDougald at strong. 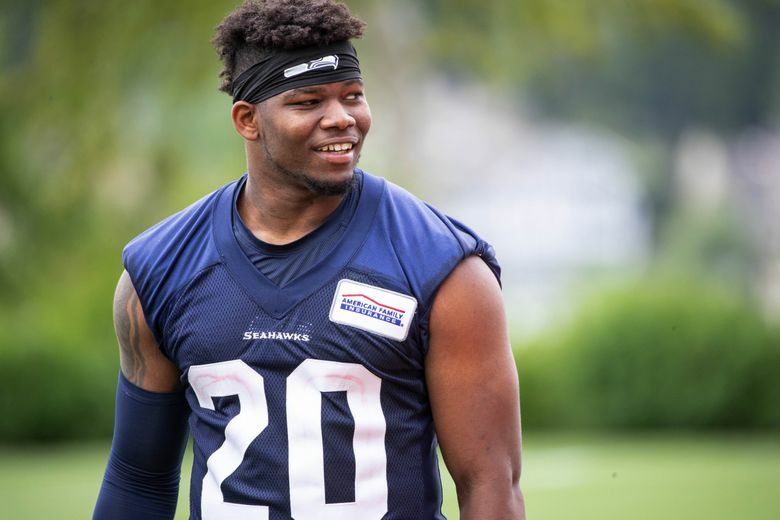 Still, in either scenario Hill could have an important role — and with Kam Chancellor gone and Thomas’ future in doubt, the Seahawks also will be looking for signs that Hill can indeed be a dependable starter in the future. Potential role in 2018: Starting place-kicker. Why he’s ranked here: After 18 years with the Raiders, Janikowski signed with the Seahawks and will battle Myers for the right to replace Blair Walsh. Janikowski, though, has a $600,000 guarantee in his contract, indicating the team views him as the likely winner of that competition. But after last season’s kicking struggles, the Seahawks also seem determined to make sure whoever gets the job has earned it in camp. Potential role in 2018: Starting right tackle. Why he’s ranked here: It’s also a big year for Ifedi, a first-round pick in 2016, to begin fulfilling the faith the team showed in him or potentially force the team to have to admit it made a mistake. The hope is that the coaching and schematic changes of new offensive line coach Mike Solari will be a better fit for Ifedi’s skills. Ifedi enters camp as the front-runner for the right tackle job but the team is expected to throw Fant into the competition there now that he is back from a knee injury. Potential role in 2018: Third receiver in starting three-receiver sets with Doug Baldwin and Tyler Lockett. Main competition: Brandon Marshall, Amara Darboh. Why he’s ranked here: A free-agent signee who spent the past five years with the Cardinals, Brown is expected to help fill the production lost with the departure of Paul Richardson. A two-year contract with $2.75 million guaranteed indicates the team has faith Brown will play a significant role this season. Potential role in 2018: Starting right guard. Main competition: Willie Beavers, Jordan Ross. Why he’s ranked here: Fluker signed in March after playing last season with the Giants under Solari and is expected to take over the right guard spot. But he also has experience at tackle and could be an option at RT if Ifedi struggles and the team decides to go a different route with its OL. Potential role in 2018: Backup to Chris Carson but also playing liberally in complementary roles. Will also compete for kickoff return duties. Main competition: Chris Carson, Mike Davis, C.J. Prosise. Why he’s ranked here: Much attention will be paid to the role Penny carves out for himself this season given the debate over whether he was worth taking in the first round. But regardless of whether he is the official starter or if that role goes to Carson —- Carson figures to be at the top of the depth chart heading into camp — the Seahawks will find ways to use Penny, either rotating with Carson, in third-down/two-minute roles and potentially as a returner (the new rules might result in teams putting more returners on the field). After the injury-ridden tailback merry-go-round of the last few years, the Seahawks learned they simply can never have enough good tailbacks.